The newly designed Western Belts by CrossBreed® are available in Black, Brown and now our Founder's Leather which feature a 1.5 inch double layer construction. These look great with casual western attire. This belt offers a Horseshoe brand buckle designed by Jeremiah Watt. Our Western Belt now features a tasteful double stitch as standard with all belts and is offered in a variety of stitching colors. Measure, in inches, your EXISTING BELT from the end (or metal tip) of the buckle to the hole that fits you the best. This measurement is your belt size. All Belts by Crossbreed® have seven holes for proper sizing. The size you order will be made for use with the center hole. 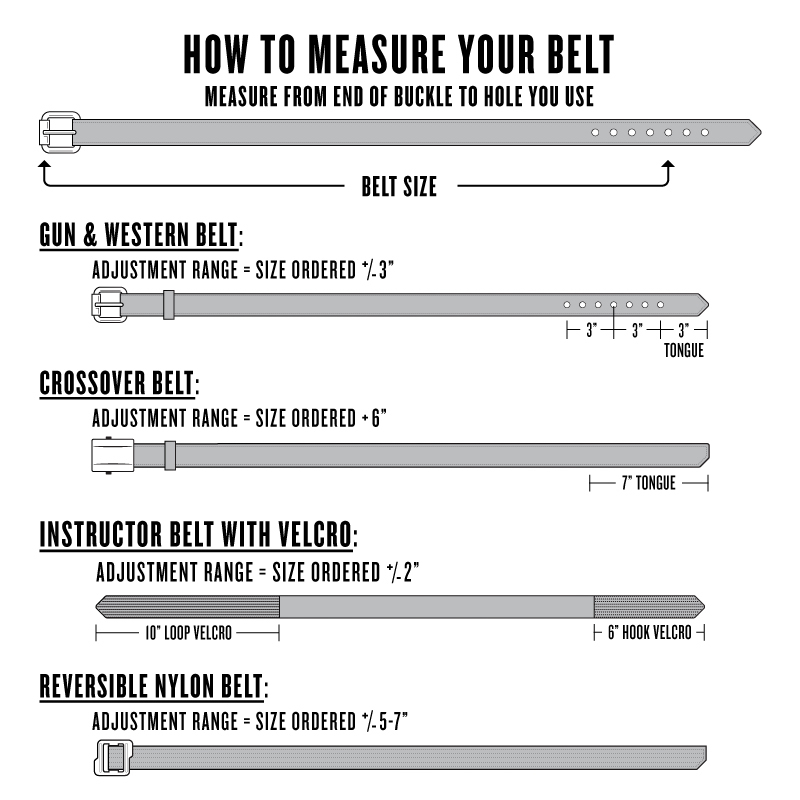 If you know that you prefer a belt with a longer tongue, add 1-2 inches to your measurement. If you prefer a fit with a shorter tongue, subtract 1-2 inches from your measurement. For most people there is no need to change your belt size to allow for IWB carry of a single conceal carry pistol. If you need assistance with belt options and sizing questions, kindly contact our customer service department at 888-732-5011. Please Note: DO NOT use your pants size as your belt measurement or order a desired size from buckle to tip. This will give you an incorrect fit. 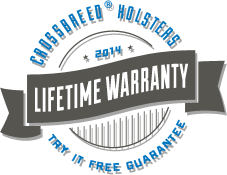 **SIZING ERRORS - We ask that our customers take the time to accurately measure for the correct fit before ordering a handcrafted belt. Our craftsmen take great care to ensure that your belt is correctly sized as ordered. All sizing error exchanges will be subject to a $10 processing and reshipping fee. Exchanges will be accepted during the two week trial period only.